Children tantrums or tantrums, usually called, are temper behavior by children as a way expressing anger and frustration. Tantrums typically occur at age 2 to 3 when toddlers old enough to have a sense “me” and “my wants” but can’t express it because low ability to use words. So they prefer whining, crying, screaming, kicking or breath holding to express their anger. The trigger could be children’s frustration on physical, mental or emotional challenges of the moment. Physical challenges are things such as hunger and thirst, meanwhile mental challenges are related to a child’s difficulty learning or performing a specific task or difficulty using words to express thoughts and feelings. For example, the toddler crying so loud in front of a crowded store when their parents didn’t approve what they want. These tempers tantrums are a normal part of development and don’t have to be seen as something negative. 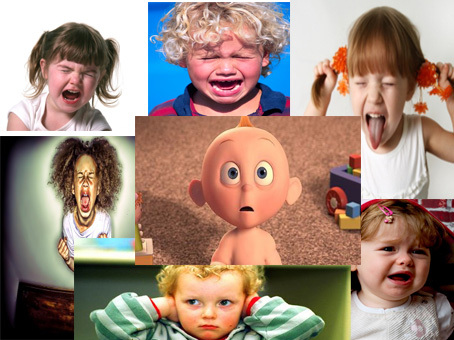 In fact, tantrums are common during the second year of life, a time when children are acquiring language. Toddlers generally understand more than they can express, so as language skills improve, tantrums tends to decrease. However, if the behavior is dealt with incorrectly, the child may learn to use tantrums to manipulate people and to gain attention. Don’t Panic. The main thing to do is to stay calm and not to get upset. Just remind yourself that this is normal, that lots of parents have to deal with it and that you will too. Try to distract them. If you are in a situation where you know a tantrum is likely, you may be able to avoid one by distracting your child. For example point out the big red sports car in the road, laugh at the funny picture in the shop display or give them their favorite toy to play with. Ignore the tantrum. You should calmly continue with whatever you are doing, like chatting with someone else, packing your shopping or whatever. Every so often check to make sure your child is safe. Ignoring your child is very hard, but if you answer back, or even smack them, you are giving them the attention they are demanding. Pay attention to any good behavior. As soon as you see any signs of calming down, like they stop screaming, praise them. Turn your full attention back to the child, talk to them with warmth and admiration. If you reward the new behavior like this, your child is more likely to stay calm and carry on being good. The most important thing to keep in mind when dealing with children tantrums, no matter what the cause, is simple and crucial: Keep Cool. Don’t complicate the problem with your own frustration. Instead, take deep breaths and try to think clearly. Furthermore, stay calm and ignore the behavior to the extent possible; don’t punish the child, don’t reward the child; keep the child safe; isolate the child if possible also don’t let the disapproval of other people affect your response to the tantrum are crucial things to be remembered when deal with throes of tantrums. Keep trips as short as possible – be organised about exactly what you need to buy and stick to it. Use distraction – take a toy for your child to play with or a book for her to browse. It can also help to have a drink and snack handy. If a tantrum does threaten, remain calm – talk quietly to your child, explaining that the behavior isn’t acceptable. You may find you have to leave the shop and go back later, even if this means you leaving your shopping behind. In other words, in dealing with tantrums the ultimate goal is to teach the child acceptable ways of expressing anger. Remind them that tantrums aren’t appropriate. How parents respond is critical, as a matter of fact parents can learn to calm themselves, state clear rules, notice and compliment appropriate behavior and teach understanding and empathy. July 15th, 2011 will be the most important date for Harry Potter fans. That is the date when a final and last Harry Potter movie will be released. There is excitement and enthusiasm between the loyal fans what will going to be the last Harry Potter movie looked like. The trailer and behind the scene’s videos of Harry Potter and The Deathly Hallows Part 2 are awaited mostly. The end begins as Harry, Ron and Hermione go back to Hogwarts to find and destroy Voldemort’s final horcruxes, but when Voldemort finds out about their mission, the biggest battle begins and life as they know it will never be the same again. This is the Plot summary for Harry Potter and The deathly Hallows: Part 2, which is officially written in imdb’s site. There is a full synopsis too in that site, for sure may contain spoilers. Anyone who already read the last book also knew the exact plot. There’s a site that exposed scenes from the footage since it didn’t get the trailer to share yet. “Why are you here, all of you?” Harry demands. “We never left,” his mother whispers. “Until the end,” adds his father. The scene changes again to when Harry meets his end at the hand of Voldemort, which most people have already seen from the trailer. But the scene carries on into Harry’s afterlife – a bright, white void, where Dumbledore waits for him and greets him with a simple, “You brave, brave man… ” The scene continues as he explains Harry’s willingness to die offers him the chance to return and fight again. All the sneak peek and earlier footage from The Dealthly Hallows part 2 movie gave the Potter fans a thrill, including me. Can’t hardly wait to watch in full-length movie. 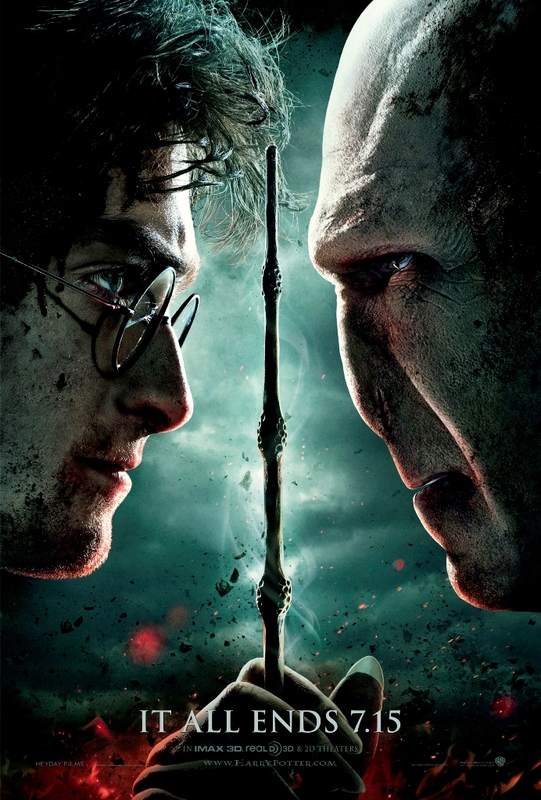 However, the Potterheads, before we’ll see a final battle between Harry Potter versus Lord Voldemort, maybe we should elaborate what makes them in contrast. Why Harry Potter should face Voldemort. What differences between the two of them. Harry Potter and Lord Voldemort are like heaven and earth. They are totally different. Yes, we know they are enemies, they against each other. Let’s take a look for differences between them. First, as freshmen student in Hogwart school of Witchcraft and Wizardry, the sorting hat will choose the students by judging each students’ qualities and placing them in the most appropriate house. There are four houses in Hogwarts: Gryffindor, Slytherin, Ravenclaw and Hufflepuff. Harry’s house is in Gryffindor, a house which values courage, bravery, loyalty, nerve and chivalry. On the other hand, Lord Voldemort’s house is in Slytherin, which values ambition, cunning, leadership, resourcefulness and most of all, pure wizard blood. This blood purity’s factor in Slytherin quite interesting because it turns out that Lord Voldemort actually not purely comes from Wizard family, but comes from half blood family. In addition to their differences character, JK Rowling created Harry Potter as the main character, the protagonist who has kind and loving personality. Harry never wants to hurt his friends, proven in the last book when Harry decided to go by himself searching hocruxes, leaving his two best friends behind. It was because Harry didn’t want anything bad happens to them. Unlike Harry, Lord Voldemort has evil, ruthless and sadistic personality. Created as the main antagonist, Lord Voldemort is so much feared by wizard community, so that they refuse calling him by his name, instead saying “You-know-who” or “He-who-must-not-be-named”. Harry dared to defend his friends, like when he’s being punished by Dolores Umbridge, in Order of Phoenix, the fifth books, because he didn’t want she knew about Dumbledore Army, a secret study group that Harry teach his friends the higher-level skills he has learned. In contrast, Lord Voldemort is willing to kill even his own Hench men, who serve him out of a mixture of fear and respect. For example, when Voldemort attempted to kill Draco’s father, Lucius Malfoy , because he failed did the task. Luckily, Lord Voldemort gave Lucius a remission of life. He ordered Draco to kill Albus Dumbledore, for he wished to punish Lucius Malfoy for his failings by giving his son a task he could not do. So, between Harry Potter and Lord Voldemort is another version of good versus evil, the theme that appeals to everyone. The boy who lived versus The man who must not be named. Bukan Review Biasa, In English Please!